You probably don’t need any help from me to actually find an Irish pub in Frankfurt, or in any city for that matter. There are quite a few in the city. I am going to give you a recommendation for my favourite though. If you are looking for a nice place to go for a drink and a chat, or just for good music and a night out, then I have just the place. If it is football you are after try one of the others mentioned below. The Anglo Irish is in Alt Sachsenhausen and is right in the middle of a whole street of bars and restaurants. 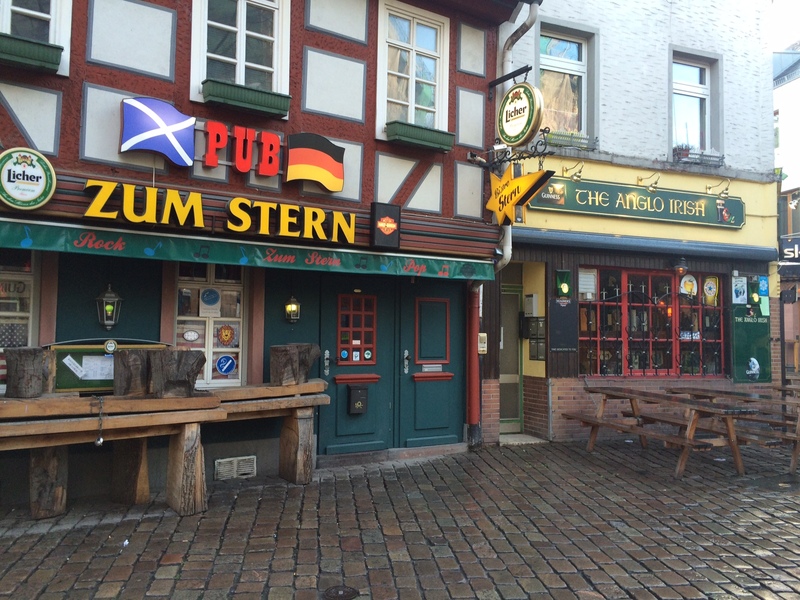 A great mix of traditional Frankfurt food and modern bars in the area. The pub itself is fairly small, interestingly located next door to a Scottish pub which I have still never been in…, and provides everything you expect from a pub. Good atmosphere, good beer and good music.